Mr. Subhash Chandra Agrawal, aptly referred to as the “Badshah (King) of RTI”, has been considered to be on a quest to make the right to information the right to action. He holds the Guinness world records for writing maximum letters published in a newspaper till date. His expertise with the RTI is unparalleled by none other. In 2009, Vice President Mohammad Hamid Ansari gave him the first ever RTI award. He firmly believes that “No subject is too trivial – small correction in the society can make a big difference”. He likes Parsi philosophy of work for society, not for oneself. Mr. Agrawal utilizes the RTI Act optimally to gather crucial information from all wings- judiciary, executive and legislature. Through his efforts around 700 RTI petitions have reached to the Central Information Commission (CIC). The CIC brought the office of Chief Justice of India under the purview of the RTI Act after Mr. Agrawal's application. This decision was subsequently upheld by the High Court of Delhi, and presently under stay order of Supreme Court. He through his several RTI applications pushed the agenda for introducing the Judicial Accountability Bill in the Parliament this year. The RTI has proven to be an excellent medium to bring change in the society.The recent revelation of 35 Lakh INR spent on renovation of two toilets in Planning Commission; Revelation of former and present MPs owing over 7 Crore INR to MTNL; bringing into light the names of 36 ex-MPs who have been occupying ‘unauthorised’ Government bungalows in Delhi; have all been significant catalysts to initiate change in the society. Mr. Agrawal has exposed several issues like the in the timings of the Taj Express, about the irregular progression of coin diameters and for each of these issues he carried out thorough research with precision of detail. He argued with Hindustan Lever Ltd. over the legality of the 75-gram soap pack; with Ranbaxy over the price of Calmpose; and with Doordarshan over the frequency of Rajni, a popular serial. Even before RTI came into force in 2005, many of Mr. Agrawal’s suggestions through his inspiring letters were implemented by various public authorities, for example: publication of Readers’ Digest in Hindi, improvement by Johnson & Johnson in Band-Aid, entry of women in Rotary International, etc. Live Law would like to congratulate you on your success and the commendable work that you have done. We would like to thank you for giving us your valuable time. Live Law: Sir, you have been writing to authorities much before the advent of the RTI. Your first letter was regarding a DTC bus conductor who was charging money for tickets but not issuing them. What do you think was the difference between you and the other passengers that you took the issue further and they did not? Mr. Subhash Chandra Agrawal: Most (rather all) people coming into my contact after my daily letters addressed to editors of newspapers and forwarded to concerned ones in governance-system, reveal that all such aspects came to their minds also but they never thought of penning down their feelings. All those people considered that my letters echoed their voice. Same may be true for other passengers as referred in my first ever letter to editor about a conductor pocketing money rather than issuing a proper ticket. But it is also a bitter fact that many passengers were partner in the dishonesty of that bus-conductor by paying him just half of the ticket-money thus doing infamous ‘fifty-fifty’. Live Law: Do you think our country would be a better place if there were more people like you who ensured accountability for others, who otherwise continue to work in a manner unbecoming of the office they hold? Mr. Subhash Chandra Agrawal: Undoubtedly definitely! Live Law: What difficulties did you face with the authorities prior to the enactment of the RTI Act? Mr. Subhash Chandra Agrawal: There were nil/proper responses to suggestions/ submissions made by me. Live Law: According to you, what is the significance of RTI in the larger scheme of problems plaguing India today, especially in terms of corruption and inefficacy on the part of government departments? Mr. Subhash Chandra Agrawal: RTI petitions if properly drafted can even make ‘Right To Information’ into ‘Right To Action’, which I do by seeking information together with all related documents/correspondence/file-notings etc on my suggestions/submissions etc posted on Public Grievance Portal www.pgportal.gov.in for reforms in the system apart from exposing scams and scandals through RTI petitions. Live Law: At any point of time, did you feel de-motivated? If so how do you keep forging your way forward in your work? Mr. Subhash Chandra Agrawal: I never feel de-motivated because I believe in doing my duty without anticipating any result as taught in our religious holy books. I right from the year 1967 on daily basis religiously and ritually writing letters to editors of newspapers till now forwarding their copies to concerned ones including at highest levels. Likewise I made it a point to file on an average at least one RTI petition daily till about a year back. However presently I am involved in giving lectures on RTI (a) at educational institutions on how to file RTI petitions with a positive mindset and in national interest (b) at public-authorities for properly handling RTI petitions. Live Law: What is your reaction to those accusing you of over using RTI? Mr. Subhash Chandra Agrawal: Everybody has a right to comment. However I have for the first time come across any such comment through you. Live Law: Would you like to comment on the misuse of RTI and fake pleas? Mr. Subhash Chandra Agrawal: Every Act including dowry-Act and even the recent Nirbhaya-Act are misused, and also RTI Act too. But this does not mean that country may be made lawless by doing away with all Act. However improvements are being made and more are necessary. For example DoPT amended RTI rules by imposing a 500-word limit to prevent extra-long RTI petitions with hundreds of queries. My suggestion is to raise RTI fees to rupees 50 with first twenty copied pages free-of-cost because petty small RTI fees of just rupees ten is one of the main reasons of filing RTI petition for fun and publicity. Handling of every RTI petition costs heavily to the exchequer, and the wonderful right provided to members of public need to be exercised with responsibility. I in my RTI lectures at public authorities educate how to handle nuisance, frivolous and fake RTI petitions. It is good that Central Information Commissioners have started passing strict-most strictures against those filing nuisance, frivolous and fake RTI petitions to the extent of directing/recommending public-authorities to take up the matter with investigating-authorities to ascertain motives and antecedents of such petitioners. Live Law: What are your suggestions to improve the RTI system and what do you think are the main obstacles? Sections 27 and 28 giving often-misused powers to appropriate governments and Competent Authorities to frame their own rules are being grossly misused. Several state-governments and competent authorities including at some High Courts devised such rules which contradicted various sections of RTI Act itself! Even Delhi High Court in the referred verdict in the case WP(C)12714/2009 has discussed at length power defined under these sections about framing rules. Many public-authorities even fixed RTI fees and its mode of payment differently in vast contrast to that laid down under ‘The Right To Information (Regulation of fee and cost) Rules’ where it is clearly mentioned that RTI fees should be rupees ten. RTI Act and its rules should be uniform all over the country for all states and competent authorities to remove confusions and misuse of power to harass users of RTI Act, and as such these two sections 27 and 28 should be repealed. ‘One Nation, One Rule’ should be motto for RTI Act and rules. Such a provision also favoured by Central Information Commission is necessary to minimise cases reaching to Courts against verdicts of Information Commissioners. But review should be allowed in very selective cases having apparent error of law-point in verdicts by Information Commissioners. For this, legal-departments at Information Commissions should be adequately staffed with each review-petition requiring clearance from these legal-departments. Otherwise review if allowed for all verdicts may create another Appellate Authority without any meaning. However Delhi High Court has rightly opined that all decisions by Information Commissions should be announced during proceedings only. It is observed that review is mainly sought usually in case of reserved verdicts. Many State Governments and Competent Authorities have misused power under section 27 and 28 to have RTI fees other than rupees ten as mentioned in rule-book. Even mode of payment is quite cumbersome at some places like at Bombay High Court where stamp-papers worth rupees twelve rather than postal-orders/pay-orders/cash etc are required towards RTI fees. Moreover despite repeated DoPT circulars, many public-authorities insist on name of payees on postal-orders/pay-orders etc other than “Accounts Officer”. Public-authorities have to spend man-hours and postal-charges to demand just rupees two for copy of single page. Best and practical option is to have an RTI fee of rupees fifty uniformly for all public-authorities without giving any liberty under section 27 or 28 to have a different RTI fees as notified by DoPT with a provision to provide copy of first twenty pages of documents free-of-cost. Every additional five pages or part may require ten rupees extra. RTI fees and copying charges may be payable only through specially introduced RTI stamps which should be available at all post-offices, banks and all public authorities also to avoid huge loss of public-money in handling postal-orders sent towards RTI fees. Recent RTI response has revealed that handling charge for a postal-order are rupees 37.45 as per data on basis of financial year 2011-12. All public-authorities should be directed to use fast, reliable and economical Speed Post service in cities connected through Speed Post service. According to a State Information Commissioner, some big contractors have misused provision of free providing of documents and waiver of RTI fees to persons below poverty lines (BPL) by procuring large number of documents by getting RTI petitions filed through their employee in BPL category. To prevent misuse, persons of BPL category may be provided such facility of free documents with waiver of RTI fees only for information personally related to them. Present RTI fees of rupees ten is one of the main reasons for abuse of RTI Act by filing fun-making and frivolous RTI petitions. RTI fees should be raised to rupees 50 with provision of providing first 20 copied pages free-of-cost. Written submissions by public-authorities at least twenty days before scheduled hearing at Information Commissions should be made compulsory with a copy to the petitioner. Since public-authorities are much-more elaborative in their response at the Commission, ever-increasing work-load on the Commissions can be considerably reduced by abandoning the hearing in case petitioner is satisfied by suggested compulsory written submissions of public-authorities. Another rule should be for PIOs to compulsorily mention date of RTI petition and of its receipt apart from name, telephone-number, e-mail ID and complete postal address of the PIO. Not providing any of these information may also be taken as non-compliance. PIOs even usually do not comply with section 7(8) of RTI Act when they do not give particulars of Appellate Authority. Recommendations of Central Information Commission for providing penalties for defaulting Appellate Authorities should be added in section 20 which presently spells out penal-provision only for Public Information Officers. Provision for penalising Competent Authorities for not complying with provisions of providing necessary information as mandatory under various sub-sections of section 4 of RTI Act should also be there. It should be mandatory (not discretionary) not only for Information Commissioners but even for first Appellate Authority to impose penalty on CPIOs not responding within 30 days. Copying-charges waived under section 7(6) of RTI Act due to late response from CPIO, should be deducted from salary of CPIO instead of being suffered by the public-authority. Chief Information Commissioner should be appointed from amongst senior-most Information Commissioners turn-by-turn for one year each like is adopted for appointing Dean at Faculty of Management (Delhi University). System will avoid vacuum at post of Chief Information Commissioner in case of unexpected vacancy apart from existing Information Commissioners feeling humiliated of being bypassed through appointment of an outsider at post of Chief Information Commissioner. Newer ideas will emerge from various Information Commissioners getting opportunity to head the Commission turn-by-turn each for a year. Information Commissions should always work at full strength. Government should complete selection-process of Information Commissioners well in advance before retirement of any of the Information Commissioner. Practice adopted by some Information Commissioners to sort all hearings for the day according to a public-authority should be adopted to save time and money of public-authorities apart from making process of disposal fast. A sub-sorting according to petitioners will be beneficial for petitioners and will further quicken disposal-process. Penalty-proceedings should be taken up simultaneously with hearing of the case by making suitable provisions in the law itself to reduce involvement of precious time of the Commission in deciding penalty later after issue of a show-cause notice. However Information Commissioners may have power to waive off or reduce penalty but only after giving reasons to do so in their orders. Information Commissions working with full strength with such ideas will never allow pendency at Information Commissions reaching some alarming level. Many public-authorities do not comply with CIC-verdicts, and there is no proper mechanism at Central Information Commission to take care of complaints against non-compliance of CIC-verdicts at Central Information commission. All CIC-verdicts should be interim at first hearing with a second date of hearing fixed to ensure compliance of CIC-directions at the first hearing. Such second hearings can be once in a month because the system if introduced will not require much time on the suggested second date of hearing as registries of Commissioners will put only those cases before the Commissioners where there may be non-compliance. Live Law: The victimization of RTI activists is rising across India. How can this be dealt with? Mr. Subhash Chandra Agrawal: I have not come across any such episode even though having filed about 6000 RTI petitions except one where affected dishonest ones attacked Doordarshan camera team having gone with me to record a positive impact of my RTI petition. There were abusive calls in some isolated cases of exposing corrupt deeds. I have not been attacked perhaps my RTI petitions are for reform in the system. As regarding others victimized/attacked etc, some were genuine cases of exposure of scams by mafia-groups, while in few cases there are reports that attacks were because of blackmailing through RTI petitions. But the then Central Information Commissioner Shri shailesh Gandhi rightly commented that even those being blackmailed are also guilty because an alleged blackmailer can blackmail only those who are actually involved in black deeds! Live Law: You often say “sab approach se hi hotahai [Nothing happens without approaching the right people]” How do you identify the right person and what difficulties do you face to get through to that right person? Mr. Subhash Chandra Agrawal: I never meant to say that “sab approach se hi hotahai [Nothing happens without approaching the right people]”. I simply said that it was my perception (which proved to be wrong) when my first letter was published in the newspaper in the year 1967. Before that my perception was letters are published in newspapers only through approach! Live Law: What is the importance of media in the area of RTI? Mr. Subhash Chandra Agrawal: Media has a very important role. If media would not have published/aired etc responses on my RTI petitions and landmark CIC-verdicts, then documents received under RTI Act running into lakhs of pages were of no practical use. Reforms could be there only after media utilized responses on my RTI petitions as news-stories. Otherwise also media prominently carrying out news-stories on RTI propogated use of RTI Act in a big way. Live Law: How important is the role of lawyers in RTI? What steps should they take to improve the system? Mr. Subhash Chandra Agrawal: Lawyers have a big role in RTI because at times public-authorities challenge CIC-verdicts at High Courts and Supreme Court. Fortunately some public-spirited layers including senior ones provide me free legal assistance on RTI matters not only at High Courts and Supreme Court, but even accompanying me in important cases at even Central Information Commission. I through your esteemed forum express my gratitude to lawyers providing free legal assistance in RTI related matters. Even some of the highly respected and top most lawyers of the country often encourage my endeavor for public-cause by proper use of RTI Act with due responsibility in a positive spirit. Live Law: What is the difficulty or huddle of bringing BCCI under the RTI Act’s purview in your opinion? Mr. Subhash Chandra Agrawal: Stay order from Madras High Court on hearing of the matter at CIC. After the recent Supreme Court verdicts against BCCI where the Apex Court established BCCI doing public-functioning, it will be better if all cases concerning BCCI being under purview of RTI Act may be transferred to Supreme Court for a final and decisive verdict. Live Law: What is the the reason behind SC not bringing Co-operative Societies under the purview of RTI? What is your opinion on SC reasoning? Mr. Subhash Chandra Agrawal: Read the Supreme Court verdict carefully. However my own view is that all cooperative societies, public-private-partnerships, national sports-bodies and even private bodies above some specified turn-over should be declared public-authorities under RTI Act. Since aspects like banking and telecommunication affecting day-to-day life of commoners are presently dominated by private sector, bringing private-sector at least in some specified fields is need of the time. Live Law: How can RTI make judiciary more efficient and transparent? Why is judiciary so scared of strengthening RTI? Mr. Subhash Chandra Agrawal: Ask judiciary! I am not a legal-expert to comment freely on such a sensitive aspect in fear of contempt etc. MY RTI petitions presently under stay order of Supreme Court speak all. However it may be noted that Supreme court having approached itself for relief (perhaps such being the first case in India) on my RTI petition has not yet constituted a larger bench to decide the petitions as desired by its Division Bench on 26.11.2010 in SLP(C) numbers 32855 & 32856 of 2009. Live Law: What were the main reasons or what provoked you RTIs relating to Judicary? What difficulties did u face? Mr. Subhash Chandra Agrawal: If you mean to find the main reason or what provoked me to file RTI petitions relating to judicial system, then answer is judicial misconduct by some judges at High Court patronized by even some judges at Supreme Court including even a Chief Justice of India. (Even Union government in an RTI response admitted that the said Chief Justice of India was not even considered fit to chair National Human Right Commission). Such misconduct snatched prime-time youth of myself and other family-members because of 16-years long judicial torture faced by our family for which I filed a documented complaint against a High Court judge to then Chief Justice of India. My very first RTI petition was filed at Supreme Court immediately after RTI Act was implemented in October 2005 seeking information on action taken on my complaint against the said High Court Judge. There were lots of hurdle faced by me at Supreme Court when they sat on my RTI petition telling me verbally to do whatever I could do. It was only after President’s Secretariat transferred my similar RTI petition to Supreme Court (I had also lodged same complaint of High Court judge with President of India also) that Supreme Court registry realized that they are also covered under RTI Act! Live Law: Was it difficult to stand against the political parties in the case Mr Subhash Chandra Agarwal v Parliament of India? What was the result after the case? Were you satisfied with the result? 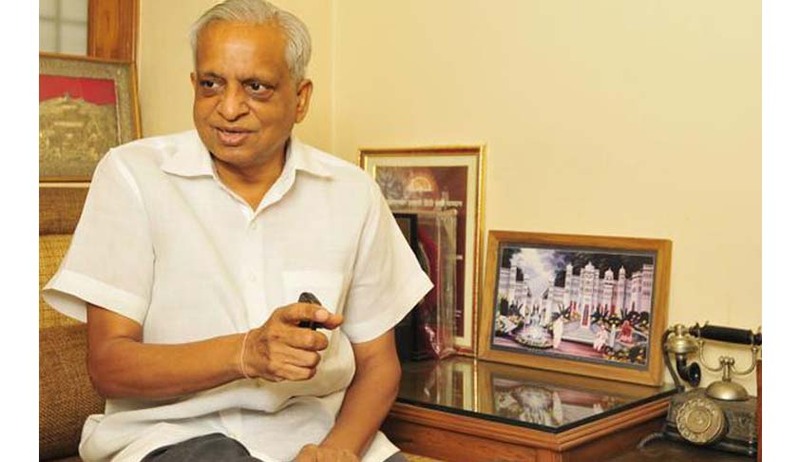 Mr. Subhash Chandra Agrawal: I am satisfied by CIC-verdict. But it is regretting that those very political parties having legislated RTI Act constituting a body Central Information Commission, are not respecting that very body by defying its long-pending verdict now for twenty long months. In fact law-making political parties are united amongst themselves to become law-breakers! I am not satisfied in the manner Central Information Commission is delaying action on my repeated petitions against political parties for non-compliance of CIC-verdict. LiveLaw: What message would you like to give to the students and young people from the good and bad times you have seen in your life? Mr. Subhash Chandra Agrawal: Use RTI Act in larger national and public good but with full responsibility. I recall an old childhood story when country got independence “An old woman laid down in middle of road asserting that since the country was free, she was also free to act in the manner she liked (there was not much traffic on roads in those days). Everyone was puzzled. A policeman with a sharp mind solved the problem by reminding a motorist that he was free too to act in the manner he liked!